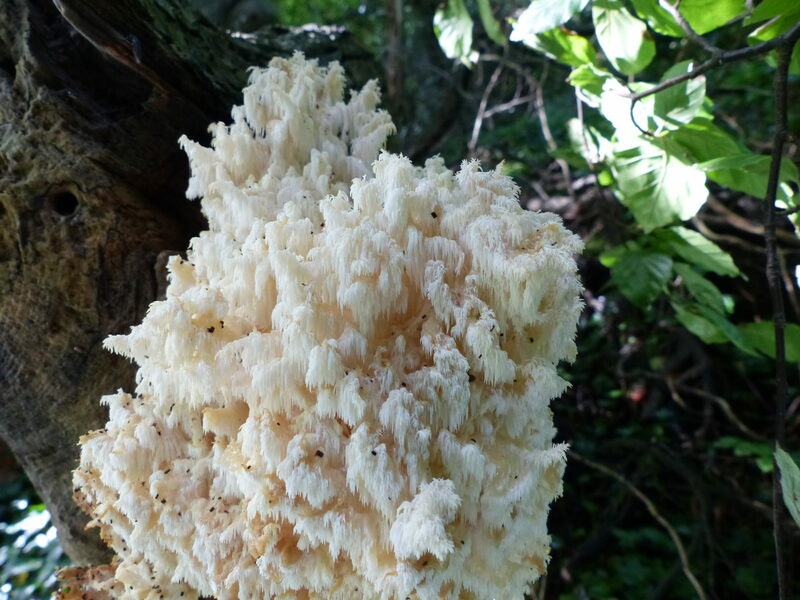 Dave Dana has discovered one of our rarest fungi in private woodland at Appuldurcombe.He has found a specimen of Coral Tooth (Hericium coralloides) for the first time on the Island. Arguably our most beautiful fungus, it has the appearance of a cascade of white coral. It occurs exclusively on over-mature trees in ancient wood pasture locations – it’s strongholds are the New Forest, Windsor Great Park and Epping Forest. It’s discovery on the Island was a surprise but there is relict ancient wood pasture woodland at Appuldurcombe, a survival from at least the sixteenth century when the Worsleys became owners of Appuldurcombe and perhaps considerably earlier.